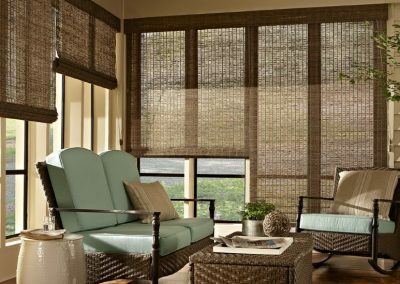 The beauty of shades can transform a room, but navigating the hundreds of styles and functions can be maddening. 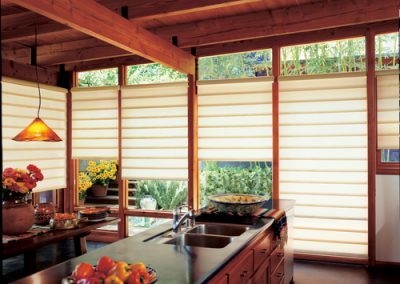 HunterDouglas offers a shade that has 50 percent more insulation than any shade on the market, perfect for Colorado’s climate. 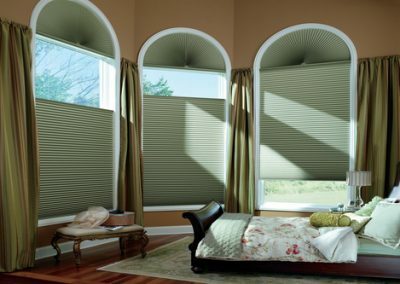 Norman’s “Roman Shades” give a clean, bold look that make a statement at a great price. Alta’s woven woods bring the outdoors inside. Let Colorado Custom Blinds, Shades & Shutters find the best fit for your home and budget. Insulating, sound absorbing, light weight, minimal stack, multiple pleat sizes and verticals available to soften any room. Beautiful fabrics and patterns, soft folds, flat folds, battened backs, both horizontal and vertical applications. Protection from the sun while still maintaining a view. A clean contemporary look with multiple opacities. 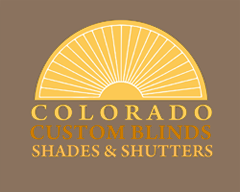 Panels available for sliders. We are blessed to have an amazing view of the Front Range. I like the elegant look of shutters, but told Malia I wanted to preserve our views. Without hesitation, she explained why shades were the best and even less expensive answer. Malia expertly waked me through all the different functions and played devil’s advocate when I waffled on my decision. In the end, I made the right choice. When I want privacy, I close my shades tight. When I want sunshine, the shades roll up. I couldn’t have done it without her! 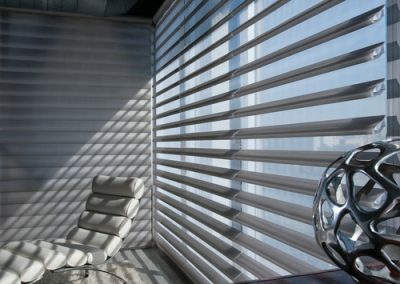 Soft fabric vanes suspended between two sheer panels. Allows protection from sun with view through. Truly can transform a room. Vertical option available. Hand woven with woods, reeds and grasses. A natural look with multiple textures and hues.